Every day at the KDFM is a celebration of local food, art, and education! 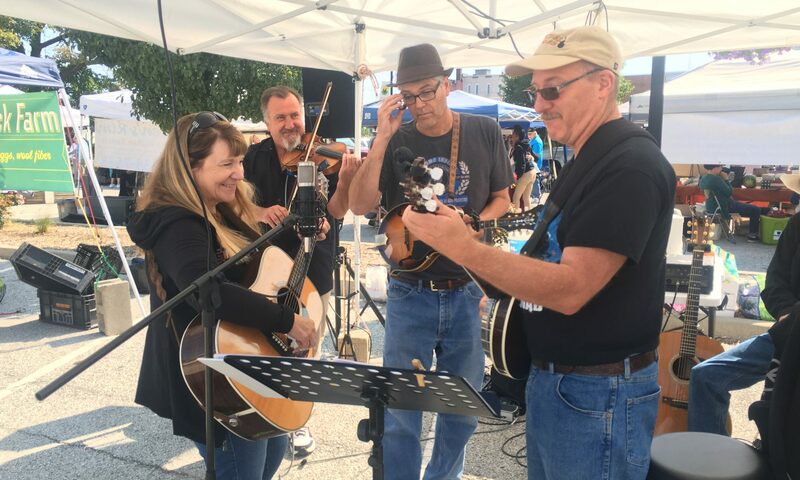 The many diverse bands, musicians, and performance groups that lend their talent to the market add local flavor to the fun. We invite anyone with a family-friendly talent to share, from dancing to poetry reading and from magic to macramé, to apply to perform or demonstrate at the market. You must apply to be considered for participation and our application is short and sweet. We’ll get back to you within a few days and find a way to get you on our market schedule. What talent would you like to share? If you are a musician, what type of music do you play? If there are specific dates you would like to perform at the market, please list them. Why are you interested in performing at the market? How did you learn about the opportunity to perform at the market?